An interview with Shane Kadidal conducted April 22, 2011 by Gerry Albarelli for the Columbia Center for Oral History, Rule of Law Oral History Project. Shayana (Shane) Kadidal is the senior managing attorney of the Guantánamo Global Justice Initiative at the Center for Constitutional Rights. He was born in Brooklyn, New York and is a graduate of Yale Law School. His career focus has been on civil and human rights, immigration detention, and government accountability. 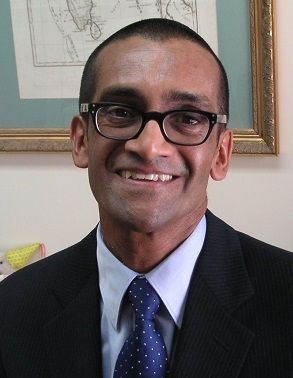 Mr. Kadidal has worked on significant cases at the Center for Constitutional Rights in the aftermath of the September 11th attacks, some of which have reached the Supreme Court. Highlights of this interview include Mr. Kadidal’s discussions of the conditions at the Guantánamo Bay detention center, major detainee cases, the Freedom of Information Act, his visits to Guantánamo Bay, the detainee resettlement process, and advocacy for Guantánamo detainees.